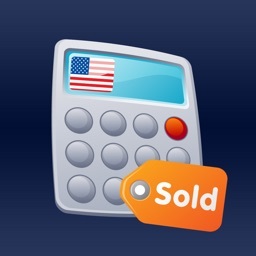 Profit Finder - Fee Calculator by Michael Natole, Jr. The most important thing about selling online is to know your numbers. 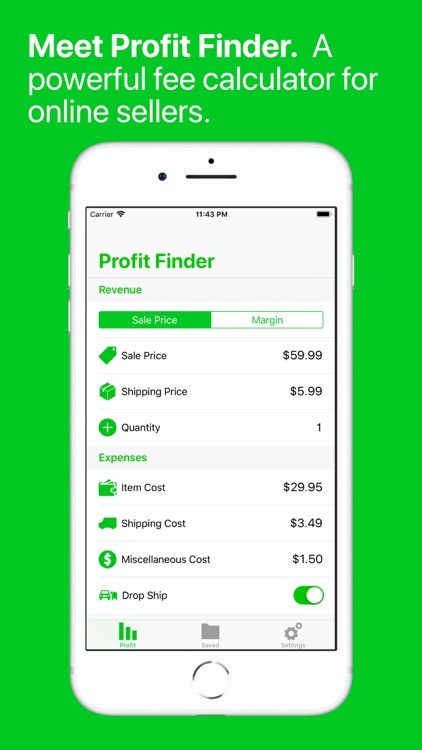 Profit Finder for iOS is here to help you to have a clear understanding of how much you would make given an Amazon, eBay, or PayPal sale (more sales channels to follow in future updates). You can either determine margin obtained from the sale price or determine the sale price from the desired margin. Profit Finder gives you a very detailed results section to precisely determine your profit, margin, and return for a given sale. 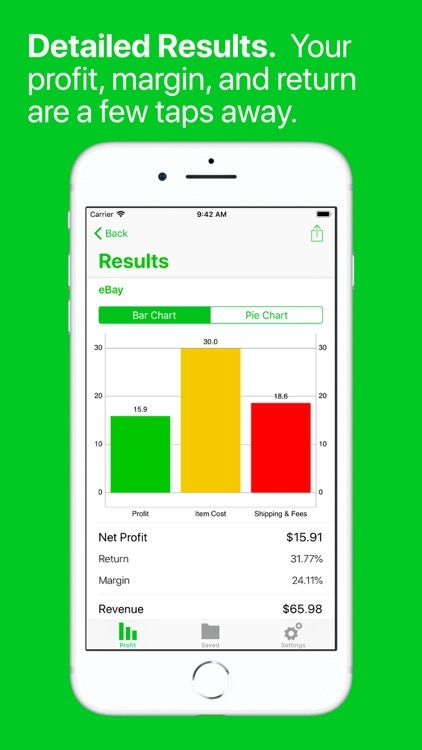 A bar chart or pie chart is available to easily make sense of your profit, item cost, and any shipping or sale fees. Also, a break down is given for your revenue and your expenses. 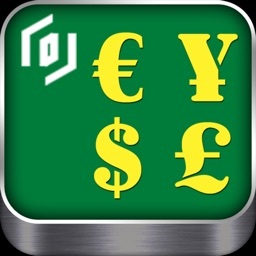 The app can be customized to suit your different needs for Amazon, eBay, and PayPal. If you are an Amazon Pro seller, then the selling fee will not be deducted. 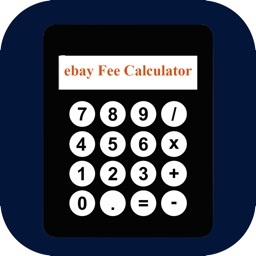 Also for eBay sellers, the use of PayPal can be turned off and the PayPal rate can also be customized to suit your given needs. You can also include a drop shipping price if you wish to as well. 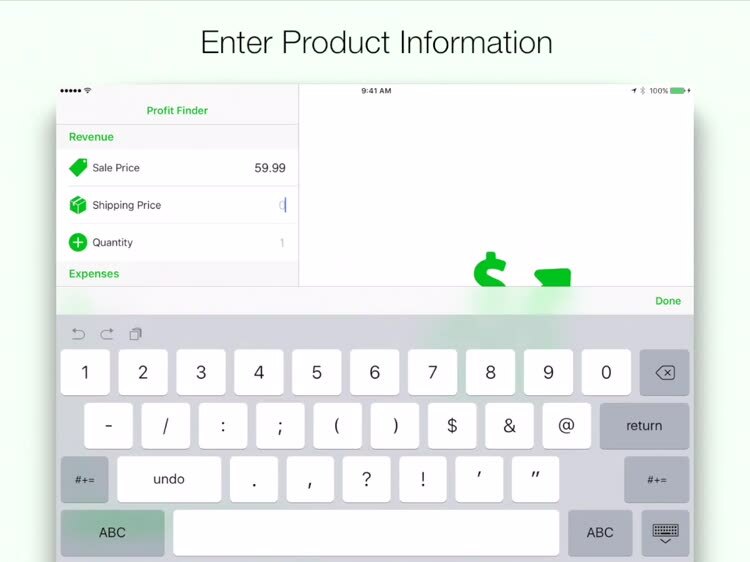 Profit Finder allows quick navigation to each of the 3 tabs via the use of 3D touch. A today extension is also provided to show the most recent saved result. 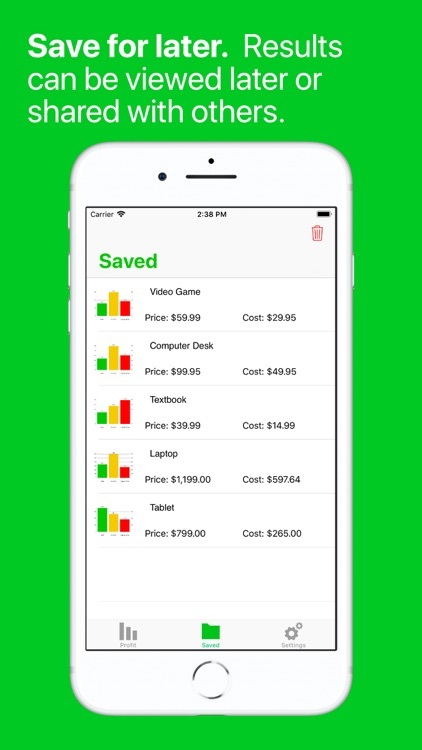 After saving an item to the saved tab, your results can be shared either via email or using iMessage. 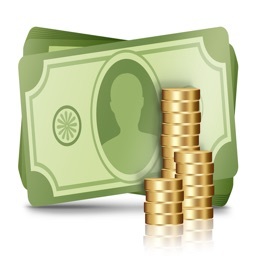 Amazon, eBay, and PayPal fess are current as of March 1, 2019. 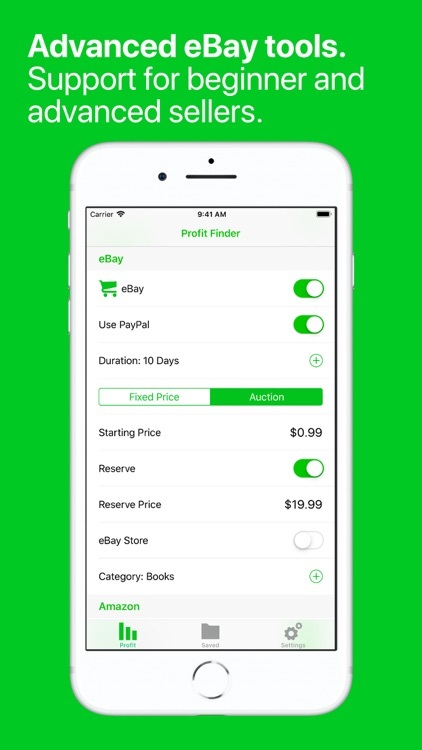 Profit Finder is not endorsed or affiliated with Amazon, eBay, or PayPal. The accuracy of its results are not guaranteed.